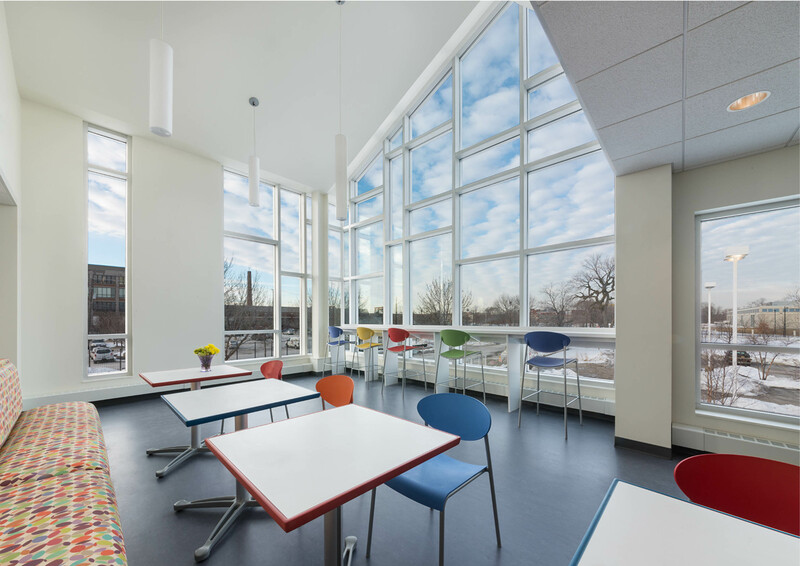 Under the the management of the Public Building Commission of Chicago, TKB completed the programming, planning, finishes and furniture for the Chicago Children’s Advocacy Center addition and renovation. 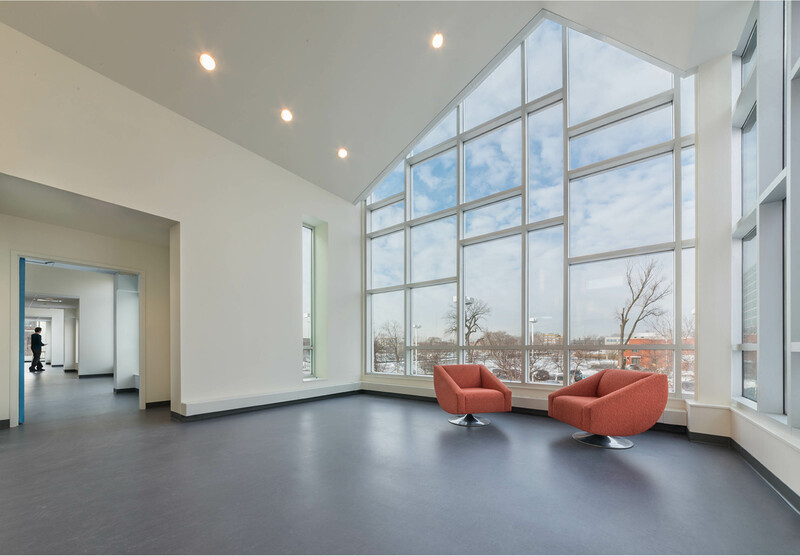 Working within the existing Tigerman building, which creates an appropriate child-like scale and playfulness, was not an easy undertaking.The team collaborated to design the necessary functions into a building with a series of gables breaking up the mass. The result retains the diminutive scale and playfulness of the original while solving some critical space needs for the organization.